Ballet Sun Valley is a non-profit organization that was formed to bring the world’s most celebrated ballet companies and dancers to the Sun Valley area. Our mission is to ensure that international ballet becomes an annual addition to the rich cultural offerings of this special community. Founded in 2011 by a passionate supporter of dance and a long-time Board Member for San Francisco Ballet, Ballet Sun Valley has evolved yet maintained its goal to provide an unparalleled cultural experience for Sun Valley locals and visitors alike. Since its inception, performances have featured dancers from the San Francisco Ballet, American Ballet Theatre, New York City Ballet, The Royal Danish Ballet, The Royal Ballet in London, The Paris Opera Ballet, and the Mariinsky Ballet in St. Petersburg, Russia. In 2012, Ballet Sun Valley’s inaugural program featured twenty dancers from San Francisco Ballet. The event was sold-out and received rave reviews from the audience and accolades from the dance world. Helgi Tomasson, San Francisco Ballet’s Artistic Director, praised the Sun Valley Pavilion, calling it one of the most beautiful venues in which the company had ever performed. Tomasson and San Francisco Ballet were eager to perform again in Sun Valley but their summer touring schedule and demand for the coveted Pavilion space, made dates difficult to match—making their 2019 all the more highly anticipated. In 2016, Isabella Boylston, a Principal Dancer from New York’s prestigious American Ballet Theatre (ABT) and a native of the Sun Valley area, approached Ballet Sun Valley with an alternative to a Ballet Company Festival. Instead, she proposed to create a Festival performed by dancers from a variety of well-known international ballet companies. In August of 2017, Ballet Sun Valley’s first independent dancer Festival debuted in the Sun Valley Pavilion with Boylston as Artistic Director. 2017 dancers included Misty Copeland (ABT), Tiler Peck (NY City Ballet), Kimin Kim (Mariinsky Ballet) and Ida Pretorius (Royal Danish Ballet). Performances were sold out and highly praised by all who attended. Boylston returned as Artistic Director of the 2018 Festival, once more bringing together dance luminaries from the world of ballet. Ballet Sun Valley summer programs are performed in the iconic Sun Valley Pavilion. This open-air venue, set amidst the natural beauty of the area and the Sun Valley Resort, provides staging for dances that fold the movement and musicality of ballet into gentle breezes, bending aspens, moving clouds and changing hillside shadows. Dedicated ballet enthusiasts have described past Ballet Sun Valley performances in this venue as inspiring, transcendent, and unforgettable. In 2012, Festival organizers identified the opportunity to offer an Education Program to young ballet aspirants through Ballet Sun Valley. With internationally acclaimed dancers visiting for the performances, the idea was to offer a few dance classes with the performers as teachers. While this program was initially limited, the students and the community reacted with excitement and gratitude. 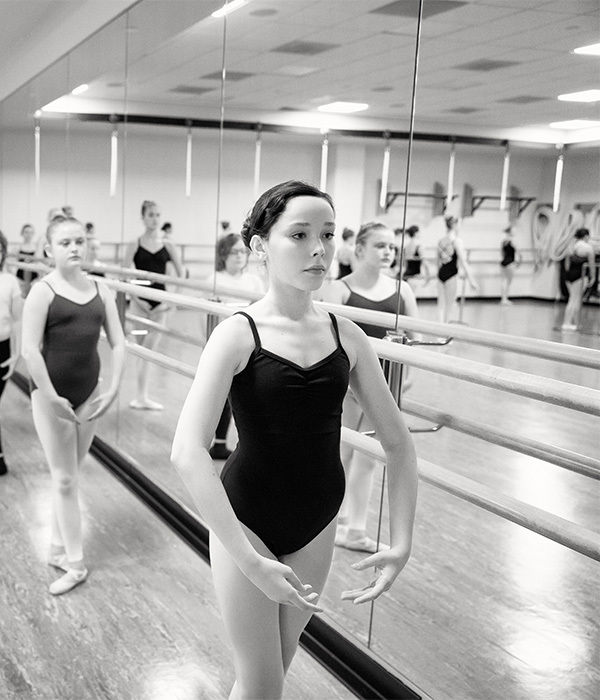 In 2017, a generous donor to the Education Program made a financial contribution that allowed Ballet Sun Valley to substantially expand the program’s offerings. Also, Boylston provided leadership to help advance the expansion of the program and recruited an increased number of visiting dancers to teach. The program’s outreach expanded outside of the area with over one hundred student participants. The program was again expanded in 2018 and over one hundred fifty students from seventeen states took part in the program. Class offerings included various levels of Ballet, Jazz, Choreography, and in conjunction with Higher Ground–a local non-profit– a class for children with special needs. Thanks to the support from our generous sponsors, all classes and workshops are offered free of charge to all participants.